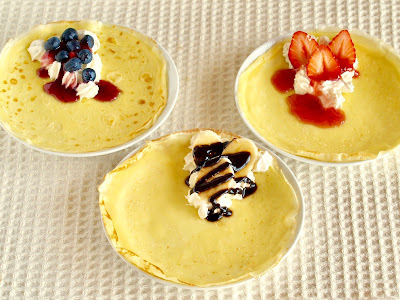 A crêpe or crepe is a type of very thin pancake-like pastry. In this tutorial, I want to show you how to make and roll up the crepes into perfect cone shape. 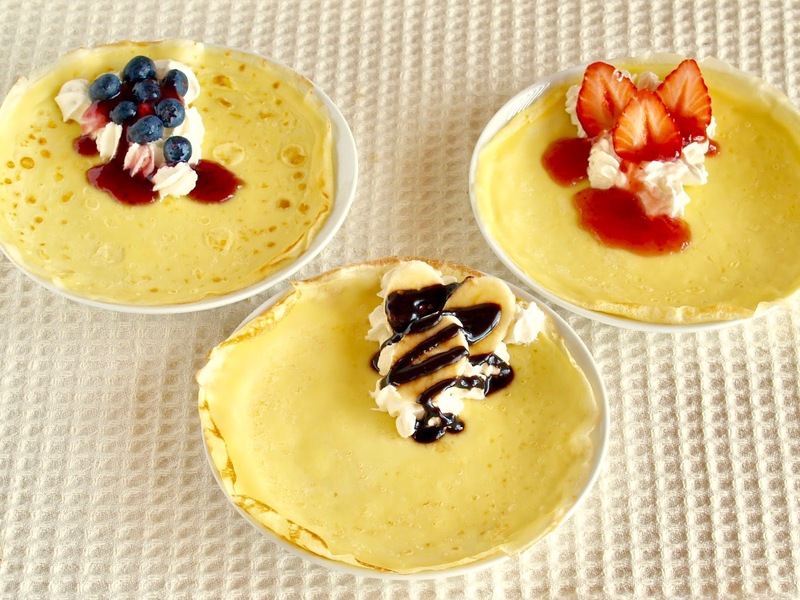 I made 15cm (6inch) crêpes to make 7cm (3inch) cone-shaped crepes. Then wrapped with 15cm (6inch) Wax Paper. Perfect for toddlers to hold in their hands! You can of course make them larger! 5. Use a nonstick pan, or wipe the surface of the frying pan with a thin layer of cooking oil using a paper towel. Heat the pan on medium, pour the batter into the pan, slowly move the pan in a circular motion to spread the batter evenly. 8. Place the filling (1/6 of a crepe shell) then wrap into a cone shape (see the video). 9. 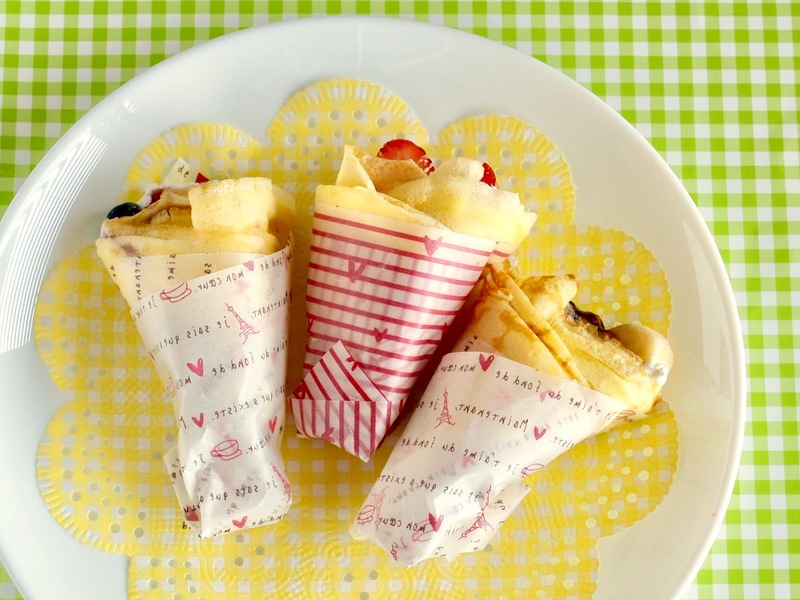 Use a cute wax paper to wrap the crepe (see the video). YES! You can make them a day (night) before. Keep them in the fridge. The cream will set nicely and easy to eat in this way. Of course eating them as soon as you can is better.